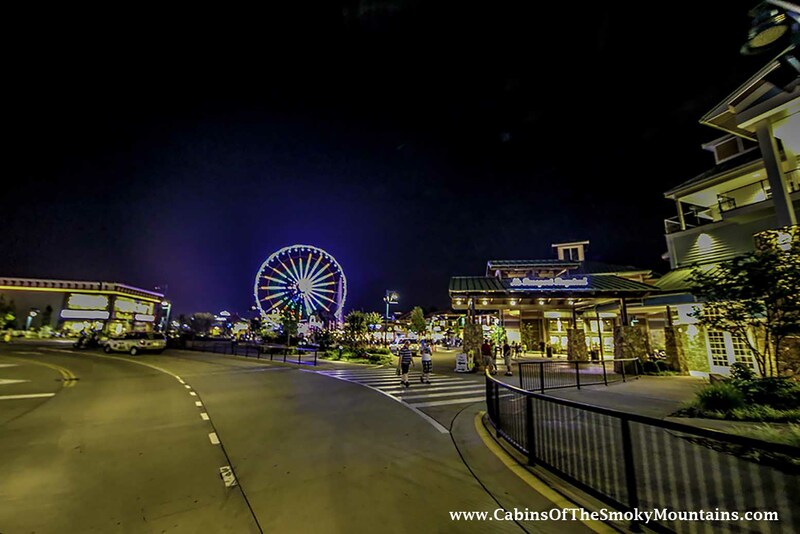 Located just a few miles up the road from Gatlinburg, TN, The Island in Pigeon Forge is an oasis of fun, food and shopping for you and the entire family. The Island in Pigeon Forge entertainment complex is made up of more than 60 retailer stores and specialty shops, along with 14 restaurants and snack bars, 19 amusement attractions and 1 large hotel. Anchor the car at the Island for the day during your stay in the area – there’s lots to do just within walking distance. Book a cabin nearby and schedule a day for the family to explore The Island in Pigeon Forge. The amenities are all located on the same grounds: places to eat or get a snack, abundant shopping options, cool attractions – all family-friendly, convenient and fun. The attractions – boy, do they have them. Along with the Great Smoky Mountain Wheel and traditional amusement park rides, there are attractions in all directions packed with fun to entertain your family’s creative, athletic, or thrill-seeking sides. The Escape Game is a thoughtful, team-oriented interactive game where you attempt to escape from a locked room using your wits, co-operation, and teamwork. There’s also a Ropes Course, Mirror Maze, and an exciting bungee cord trampoline at the Thunderdome. Feeling hungry? The Island’s fun and shopping will work up a hearty appetite. For delicious places to eat, try the decadent country-style fixins’ at Paula Deen’s Country Kitchen and enjoy snacks and desserts of all varieties anytime day and night. You’ll find treats such as cinnamon buns, pretzels and homemade candy all along your way. There’s some crazy-good shopping at the Island, with retailers and boutiques selling items for kids and adults. There’s everything from bath soaps and toys to clothing, jewelry and handbags. There are cool games, novelties, sporting attire and equipment – and a thousand things more. Visitors will enjoy exploring attractions that are all conveniently on-hand, with dozens of shops and eateries and even accommodations – all amidst mountain scenery. The kids will love it, and all ages will enjoy the Island’s star attraction, the Great Smoky Mountain Wheel. Riders enjoy spectacular views of the area by day and the ride itself lights up the night with excitement and fun. Tip: if you’d like to explore the million other attractions in the area as well – when you book a cabin with Cabins of the Smoky Mountains you’ll get our Trip Cash book, worth over $400, with free Gatlinburg coupons and Pigeon Forge coupons to some of the best attractions around.